Dr Jim Seim is listed on the National Registry of Certified Medical Examiners, registration number: 4253912594, and is licensed by the State of Minnesota to perform DOT physical exams and issue Medical Examiner Certificates. The charge for the examination is $79.00 and includes urinalysis (for blood, sugar and protein) This is not a drug test. DOT physicals are only $79.00 and includes a laminated DOT Medical Card upon completion of the exam. We make every effort for same or next business day appointments. We also will track your DOT health cards expiration date and notify you when the DOT Medical Certificate expires. Please call 763-416-4878 for an appointment. We offer DOT alcohol and DOT and Non-DOT drug testing as well. If you would like us to track your drivers DOT Medical cards expiration dates We will do that at no cost to you, please call us. Call 763-416-4878 It is a convenient and safe way to make sure your drivers DOT physicals are always up to date. Insurance is not accepted for any service provided by the clinic this includes DOT physical examination and chiropractic adjustments. 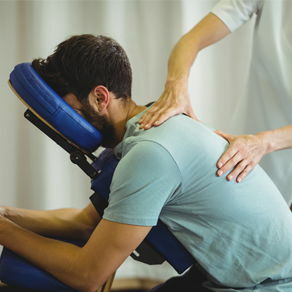 Chiropractic patients who are eligible for Government Health Programs such Medicare and Medicaid will be referred to facilities that will accept insurance. Our price structure is very reasonable. Please call the office at 763-416-4878 for the current pricing. Located in heart of Concoran, Corcoran Hamel Chiropractic PA & Acupuncture is a family owned and operated clinic dedicated to helping you achieve your wellness objectives -- combining skill and expertise that spans the entire chiropractic wellness spectrum. Dr. James Seim had practiced in the Midway District of St. Paul for 25 years. He now brings his experience and expertise to the Northwestern Suburbs. If you are new to our website, discover and learn about chiropractic wellness. Please explore the member wellness section of our website for wellness articles, resources, and health facts---specifically targeted by Dr. Seim to your wellness needs and interests. The areas Dr Seim serves are as follows: Corcoran chiropractor , Hamel chiropractor, Medina chiropractor, Fletcher chiropractor, Burschville chiropractor, 55340. Plymouth chiropractor, 55447 & 55446.Maple Grove chiropractor, 55311 & 55369. Rogers chiropractor, 55374. Hanover chiropractor, 55341. Greenfield chiropractor, Lorreto chiropractor, 55357. & Rockford chiropractor 55373. Serving as a Maple Grove Chiropractor, Plymouth Chiropractor, Osseo Chiropractor, and Brooklyn Park Chiropractor with integrity. Our patients say it best. At Corcoran Hamel Chiropractic our results speak for themselves. "I gave five stars to this Hamel chiropractics office the doctor was very informative on my health also got me in the same day for my last-minute situation left there feeling very enlightened DR. Seim is nationally certified DOT exams." anyone who wishes to have great changes in their lives."